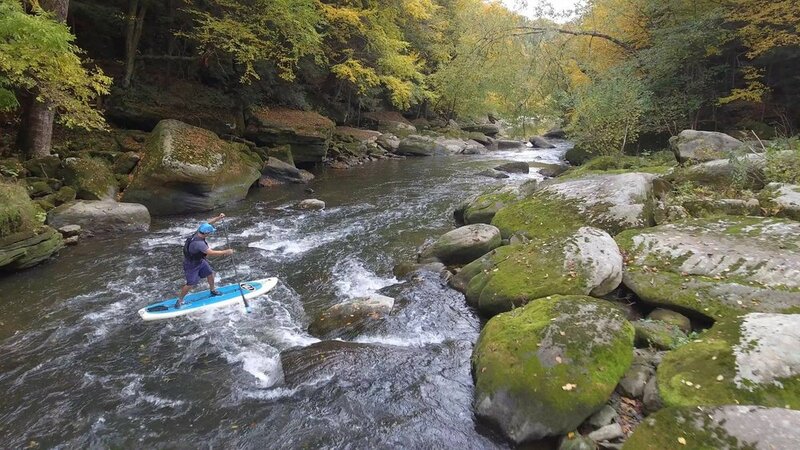 SurfSUP Adventures is committed to providing you the best standup paddleboarding experiences, instruction, and equipment in the Pittsburgh area. Browse through our variety of guided excursions and activities below to find the ones that are perfect for you. If you would like to schedule a private lesson, group event, personalized adventure, or discuss purchasing a board of your own, we encourage you to contact: info@surfsupadventures.com or call 724-989-7259. Our most popular offering our these Eco-Tours at Moraine State Park and the Islands of Oakmont! Perfect for first-time paddlers. We can accomodate your large groups for all ages. Perfect for corporate events, team-building, girl scouts and boy scouts, church activities, and more! For those looking to take standup to the next level! Learn to navigate rapids and surf the river. Our SUP Yoga workshops will take you into nature for the ultimate on-water floating yoga experience. 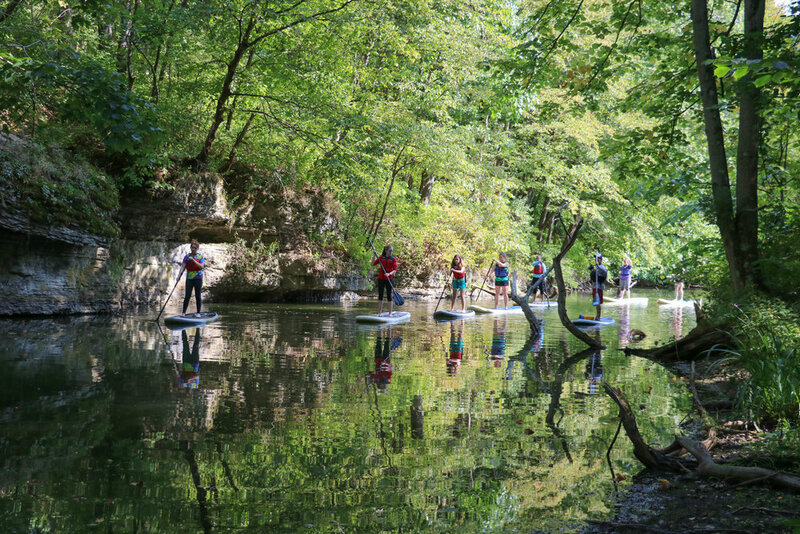 Get certified to teach standup paddleboarding courses through our PSUPA trainings!